Crane Mounting | Edilgema S.r.l. Our specialisation allows us to organise each individual step of the crane mounting and disassembly process, as well as cutting through all the bureaucratic red tape required for the operations. 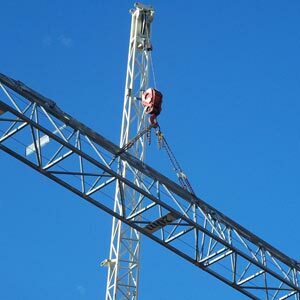 Crane mounting is carried out in complete safety for employees and the area affected by the operation, observing the manufacturer’s instructions in order to guarantee that the customer will have all the safety and reliability required for the operations that need to be carried out on the job site. Our qualified and specialised personnel always work in observance of safety standards and the customer’s instructions, working professionally and skilfully. For information on crane mounting procedures and costs, feel free to contact us. Our staff will reply as soon as possible.